We’re holding another Launch Party for Club59 in light of the huge success and response we’ve had to this newly formed golfing community. Club59 is something completely new to the game of golf. It is a premier golfing program designed to complement playing at St Lucia Golf Links where no expensive membership is required. Its continuous club-based, coaching balances technique and performance with social enjoyment to give you the best results and lifestyle all in one. This launch party is free for all to attend. We want to get the message out there and tell you just how brilliant Club59 is – and that you can have the best of both worlds. Invest in your love for the game, and become a resident player and Very Important Golfer (VIG) with one of our Club59 packages. It’s the VIG treatment we all deserve. St Lucia Golf Links Golf Shop (located inside hundred acre bar). Your introduction to Club59, the social aspect, our packages & brilliant offers, plus meet the team over a few drinks. Book Below or Phone 07 3870 3433. 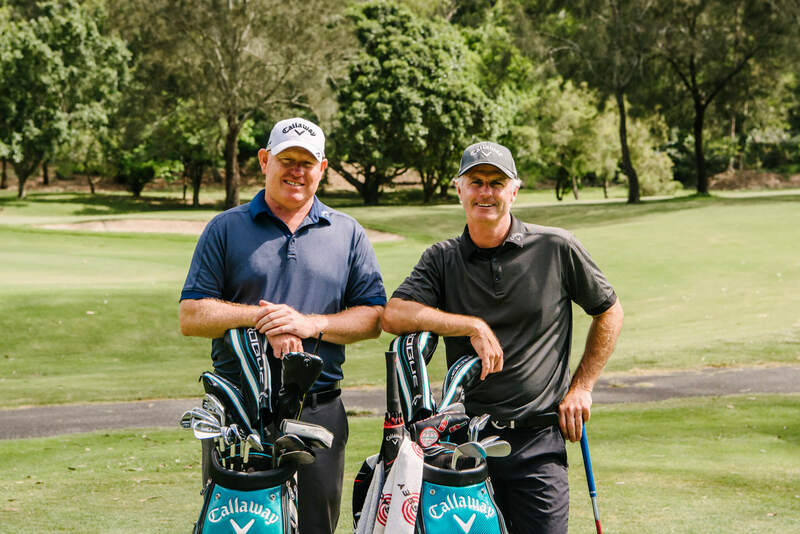 PGA Professionals Peter Clark and Grant Williams have more than 60 years collective golfing experience, and have coached players in the USA, Europe, Asia and Australia. Peter and Grant are the brilliant minds behind Club59, and will be at the launch party to tempt you will amazing offers and answer all your burning questions. Register your attendance at our Club59 Launch Party 2. Be sure to bring along your fellow golfers. Attendance is free! Contact our team of PGA Professionals, we'd be delighted to answer your questions.